Welcome to our special edition of Inside Display Week 2016, an exclusive wrap-up of the worlds premier event on display technology. The 53rd annual Display Week attracted more than 7,000 attendees and close to 200 exhibitors. From our Technical Symposium  featuring todays foremost experts and dynamic speakers in the areas of augmented and virtual reality, lighting, digital signage, wearable displays and TFTs and plastic substrates  to the I-Zone (Innovation Zone), which gave us a sneak preview of products that havent even hit the marketplace  this years event was packed with all the excitement and leading-edge information youve come to expect at Display Week. In addition to our highly anticipated Business Trackwhich included the Business Conference, Investors Conference, the Wearable-Flexible Conference and Touch Conferencewe also debuted the CMO Forum, a roundtable discussion of how, when and where to best market the latest advancements in display technology. Be sure to scroll down for more details, photos and video links. And be sure to mark your calendars now for Display Week 2017 (May 21-26, 2017), when well be in sunny Southern California to host our 54th annual event in Los Angeles. Watch your email and check our website for more news throughout the year. world-renowned leaders in the ﬁeld. Center, Samsung Display Co. Ltd.
Thousands of attendees ﬂock to Display Week each year to participate in the Technical Symposium. 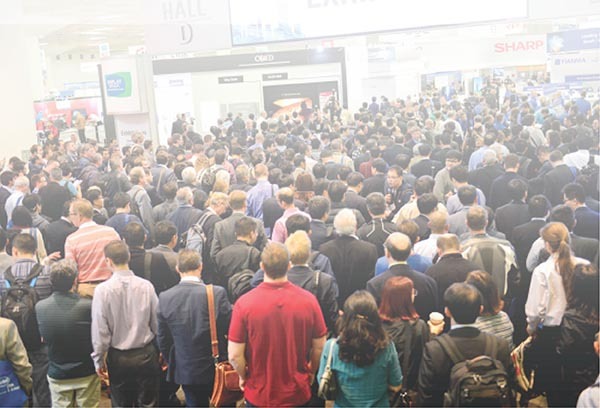 Display Weeks Technical Symposium is one of the most talked about and anticipated events every year. If you attended this years event, youll know why. Headlining this extraordinary conference were keynote speakers Steven Bathiche, distinguished scientist from Microsoft; Dr. Hiroyuki Ohshima, CTO of Japan Display Inc.; Dr. Sung-Chul Kim, executive vice president and chief of the Research Center at Samsung Display Co. Ltd.; and Dr. Jitendra Malik, distinguished professor at the University of California at Berkeley. The speakers shared insights about current technology and visions of the future not easily found, let alone all in one place. Highlights of key presentations included discussion about devices of today and the future, opportunities and challenges in mobile displays, critical technical issues and the future of ﬂexible OLED displays, and deep visual understanding from deep learning. It's never too early to start planning for next years Technical Symposium. Watch your email for news about submission and topics for 2017. The exclusive CMO panel featured (l-r): Dr. Paul G. Apen, chief strategy oﬃcer of E Ink; Greg McNeil, vice president, Product Design Innovation Labs at Flex; Jennifer Davis, CMO of Planar/Leyard International; Stephen Squires, founder and CEO of Quantum Materials Corp. and Solterra Renewable Technologies; Dr. Albert M. Green, CEO of Kent Displays, Inc.; and SID Head of Marketing Sri Peruvemba. This year we debuted the CMO Forum - designed especially for marketing, sales and supply chain professionals. 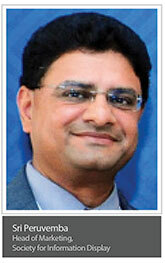 The panel discussion featured leading industry experts. This unique event included vital information about opportunities for success based on industry trends, and also examined strategies for solving supply chain issues that professionals currently face. Feedback from participants has been very positive. Display Week 2016 also debuted the New Product Showcase. From virtual and augmented reality demos to the latest and greatest in wearable technology, exhibitors participated in this new opportunity, which proved to be one of the biggest hits of the show. Due to its popularity, the New Product Showcase will be back again in 2017. Exhibitors also shared a multitude of products that captured the eye as well as the imagination, including automotive and wearable technology, OLED TVs, advanced touch screens, haptic feedback devices, electronic paper and quantum dots, just to name a few. 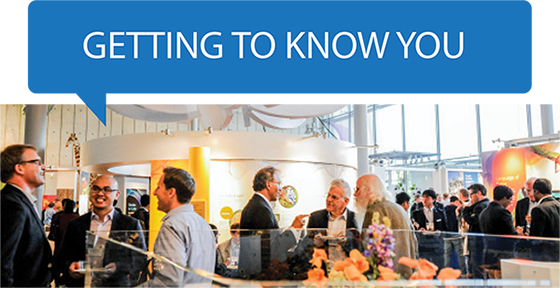 If you didnt have a chance to take the Exhibitor Survey, please share your feedback here. Watch your email for upcoming exhibitor news about Display Week 2017. One of Display Weeks unique features is the Innovation Zone  where researchers and start-ups alike demonstrated prototypes of emerging products and technology, giving our attendees the chance to see best-in-class emerging display technologies in a dedicated area on the show ﬂoor. To accommodate all the exciting, new technology being showcased by the competition winners, we expanded this special exhibition to three days. The 2016 Best Prototype winner was nVerpix for its Vertical Organic Light Emitting Transistor Display. See the nVerpix video.This years I-Zone sponsor was E Ink. 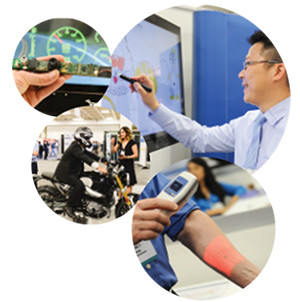 The 2016 conferences provided a wealth of information about trends in everything from ﬂexible and wearable technology to innovations in the touch market. Returning this year was the annual Business Track, co-hosted by IHS, which comprised four conferences that covered the latest industry news from global experts on the hottest topics and industry trends. More than 70 high-proﬁle speakers shared their knowledge with hundreds of attendees who wanted the inside scoop on a variety of subjects in the display, touch and ﬂexible-wearables market environments, as well as business opportunities and emerging technologies. The comprehensive forums included four separate tracks to help attendees focus in on their speciﬁc needs. SID President Yong-Seog Kim opened the Honors and Awards ceremony. From scientists to business leaders, from engineers to professors, recipients of the 2016 Society for Information Display Honors and Awards were recognized for their contributions to the ﬁeld at the annual celebration banquet on May 23. Fifteen leading professionals were nominated by the Honors and Awards Committee through a highly competitive process based on their extraordinary work and vision. Check out the video to learn more about the honorees and this special event. The peer-reviewed Display Industry Award (DIA) recipients, along with the Best in Show and I-Zone winners, were honored on May 25. SID's annual DIAs are bestowed upon products that have been introduced into the marketplace in the previous calendar year  whether or not they're showcased during Display Week. Both peer- and self-nominations are included in the selection process for this special recognition. Japan Display and Apple won the prestigious Display of the Year Award. See the video. You can check out all the winners of this year's DIAs in SIDs press room. And lastly, this years I-Zone award, which is given to the most cutting-edge demo or prototypes that can lead to the products of tomorrow, went to nVerpix for its Vertical Organic Light Emitting Transistor Display. Check out the interview with nVerpixs co-founder. Display Week attendees, exhibitors and industry notables rubbed elbows, laughed and shared ideas at a variety of venues throughout the week, one of which was the California Academy of Sciences in Golden Gate Park. 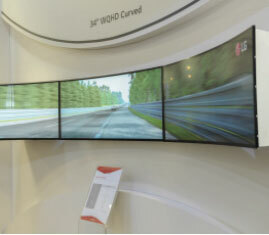 Display Week always brings out some of today's top-tier mainstream media, both print and broadcast, along with key electronics and display trades, bloggers and leading market analysts from around the globe. Coverage surrounding Display Week and its many exhibitors continues to pour in from all major outlets, offering further proof that we are the premier forum for showcasing the latest and greatest display innovations. Theres no doubt, Display Week is truly the place to be for companies looking to increase their visibility among todays leading dailies, business, ﬁnancial, and electronics print and online news sites. See the 2016 publicity summary here to read some of the coverage surrounding many of the companies, both large and small, that exhibited this year. 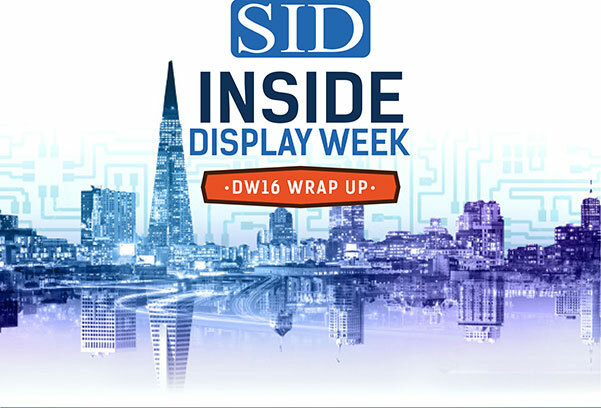 Display Week 2016 was where SID also unveiled its new executive leadership team, comprising some of the global display industry's most distinguished experts. 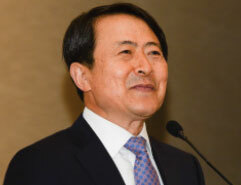 Prof. Yong-Seog Kim is the new SID president, while Dr. Helge Seetzen moves into the role of president-elect. Takatoshi Tsujimura is treasurer and Dr. Achin Bhowmik is the executive committee's new secretary. Also selected were three new regional vice presidents: Sriram Peruvemba (Americas), P. Kathirgamanathan (Europe) and Xiaolin Yan (Asia). These appointments will help ensure the organization continues to function eﬃciently and smoothly in the coming years. Join us next year, May 21-26, at the Los Angeles Convention Center. Learn about the latest advancements and newest technology in the display industry amidst the never-ending pulse that beats with the excitement of the entertainment industry and the music capital of the world. But its not just for the cosmopolitan types shopping and dining on Rodeo Drive! Theres no end to the gems youll ﬁnd throughout the area - from the beaches of Malibu to the San Gabriel Mountains to world-renowned destinations like The J. Paul Getty Museum. Learn more about all Los Angeles has to offer and start planning your trip today. Watch your email for more news about Display Week 2017, including the launch of our new mobile app and our redesigned website, which will make it even easier to register and learn all you need to know about the premier event in the display industry. Cant wait for more news? Sign up for our SID e-newsletter today. And dont forget to check out our new blog, SID Dispatch, where youll ﬁnd the latest industry news by leading experts in the display technology industry. Share your thoughts about Display Week 2016.